Papa Roach are set to play 12 dates in the UK as part of their Who Do You Trust world tour. The London O2 Forum show on 17th April has now sold out and due to huge demand the band have added a second London show on 18th April. In addition to Nothing More, who are support for the whole tour, British rock band A have been added as special guests for this extra date. Tickets are on sale now. HERE. 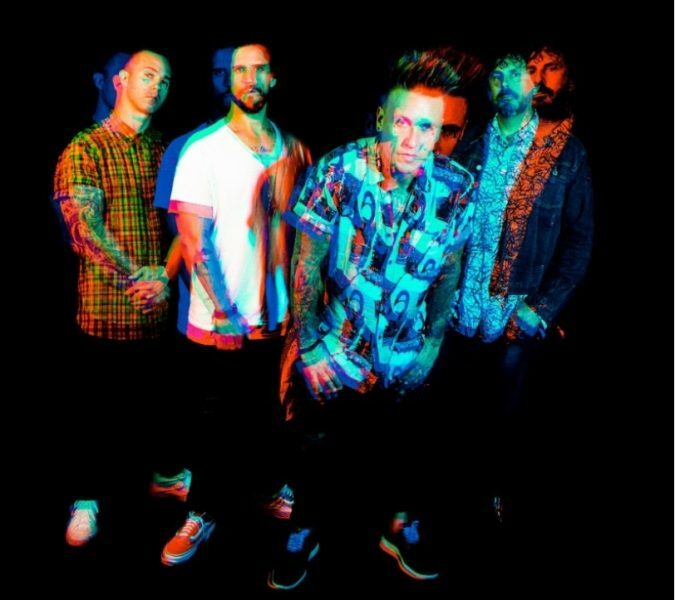 Papa Roach have collaborated with the charity Young Minds for the 18th April, https://youngminds.org.uk/ and £1 from each ticket will go to the charity. There will be an option to donate more during the booking process. Young Minds are leading the fight for a future where all young minds are supported and empowered whatever the challenges. 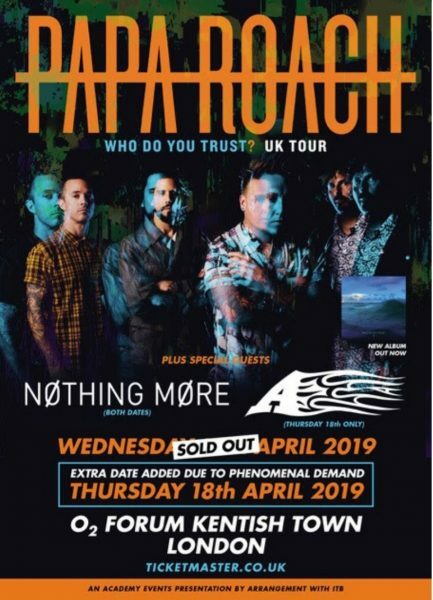 Always supporters of new upcoming bands, Papa Roach have also added Manchester’s Hot Milk to the 17th April London show. Papa Roach released their tenth studio album last month. Who Do You Trust? via Eleven Seven Music, is available to stream HERE (DIGI, CD and Vinyl). Lauded as an “audacious triumph” by Rock Sound, and the Sunday Times who noted that “(Papa Roach) have broadened their sound to appeal to a new generation of rock fans”, Who Do You Trust marks a paradigm career shift. Rare is the band that holds their mettle, that take the time to grow, that use those moments when fame’s fickle finger is pointing elsewhere to take risks and to try new things. Rarer still is the band that goes through this process and comes out the other end making the best music of their career, and ready to change the world’s perception of them, and Papa Roach is exactly this band. Check out the soaring pop of latest single “NOT THE ONLY ONE”. 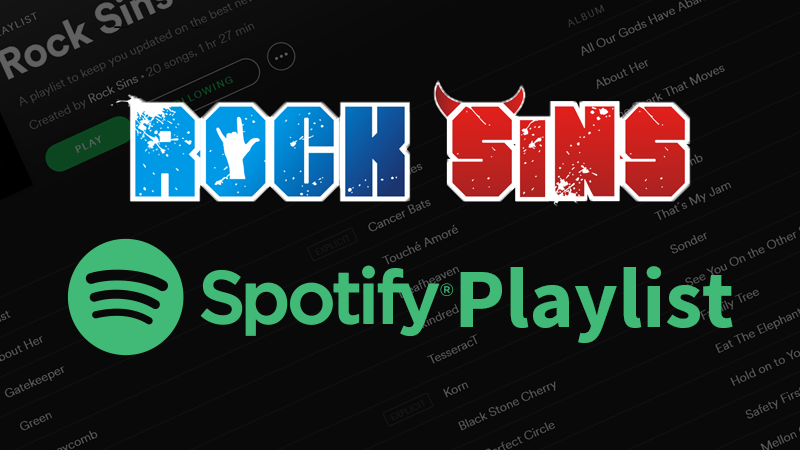 Papa Roach have just finished a headline stint on Shiprocked and join Shinedown and Asking Alexandria on the 2019 North American leg of the Attention! Attention! World Tour later this month. For VIP packages and more information, visit www.paparoach.com.